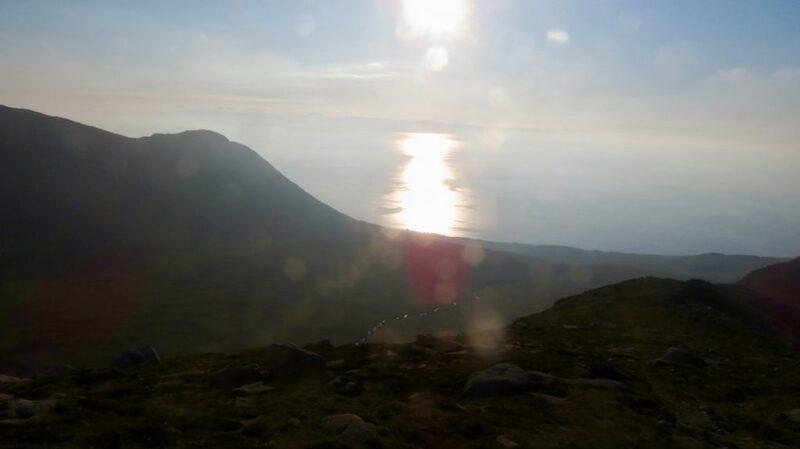 Goat Fell the highest point on the Isle of Arran, Scotland. 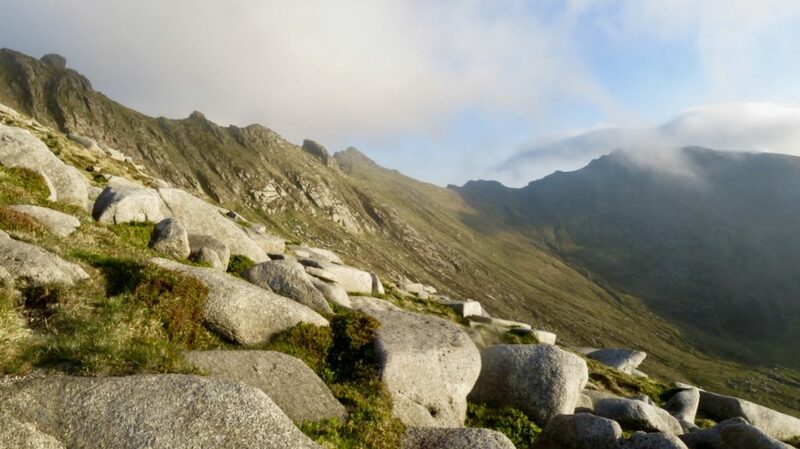 Richard Langley describes his dawn ascent of Goat Fell (874 metres), the highest point on the Isle of Arran, Scotland. 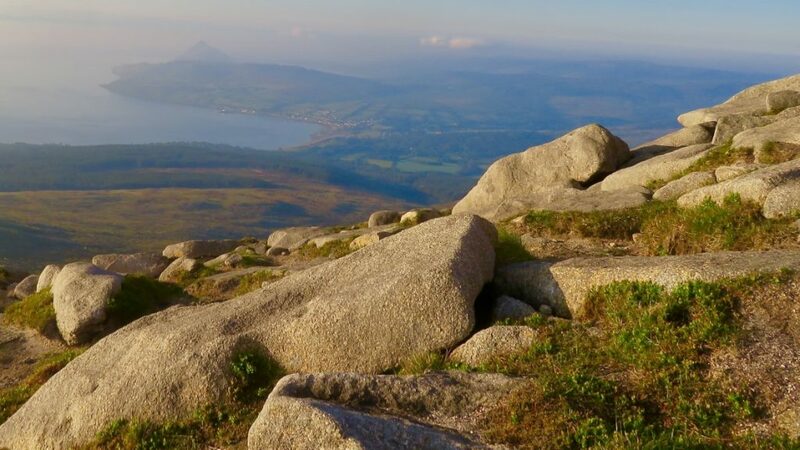 Setting off from the cottage in Blackwaterfoot at 3.00AM the drive along the String to Brodick took me to the start of the trek up to the summit of Goat Fell. 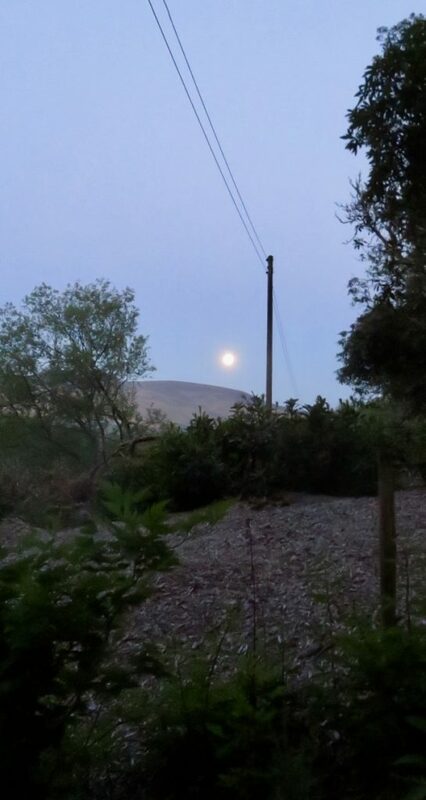 The moon was setting to the west and lit up the pathway through the forest … it was beautiful with the yellow moon dropping below the horizon over Kintyre and the sun showing signs of rising with the reddening sky over the Clyde Estuary. After breaking through the Forest and out into the boulder strewn foothills the summit was turning crimson as the sun showed its first light. There was some swirling mist around the tops. I just couldn’t wait to get up there. 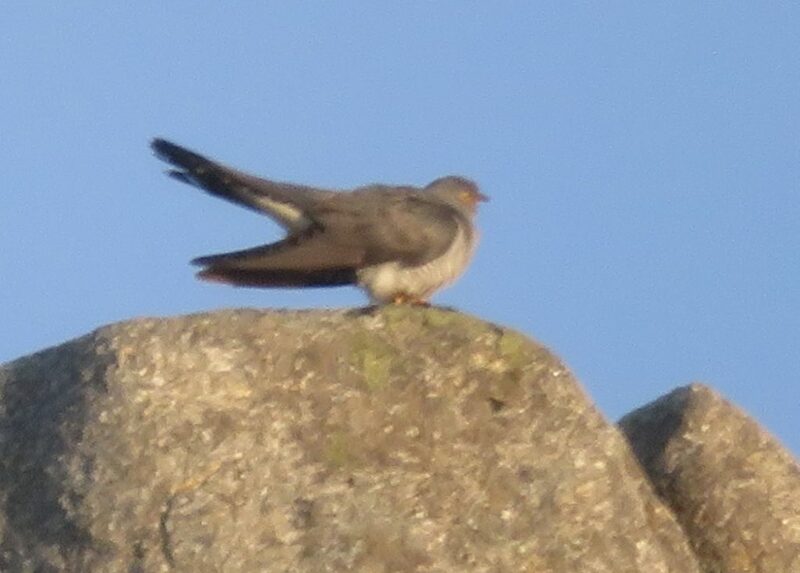 There were a few red deer around and a very prominent cuckoo singing loudly from a huge granite boulder. I also caught sight of a short-eared owl down in a valley below. 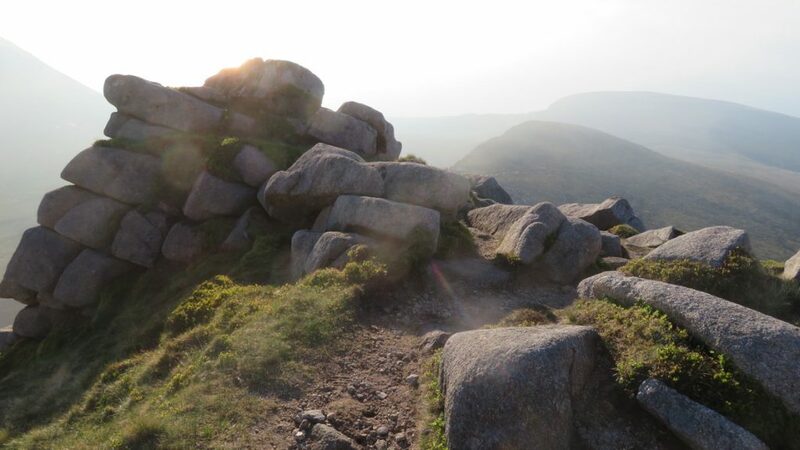 Once at the top the summit was shrouded in mist one minute and then clear the next. Sadly the views over to Ben Tarsulinn were obscured. To the east the sun was cutting through the swirling mist and there was a spectacular view like an impressionist painting with the sun caught and glistening off the low valley streams winding their way to the estuary. 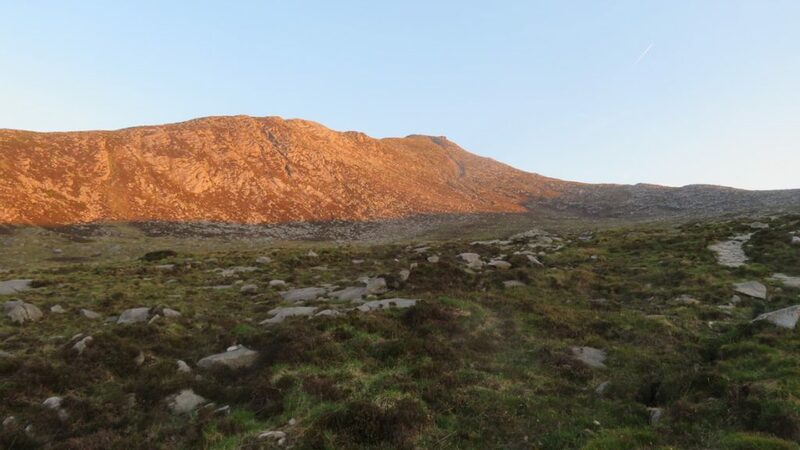 The walk to Goat Fell took about 5 hours and I was back by 9.00 am for a well earned breakfast.